2013 is coming to an end and this is what is coming to my mind, “Oh my, what a year it has been!” For my family and I, it will always be a year that we will never forget. It was filled with excitement, laughter, ups and downs, and even some “what the heck were we thinking” moments! This was the year that our family decided to donate 3/4 of our belongings, remove toxic people and things from our lives, move to Finland with only suitcases, and basically simplify our lives in so many ways. We also spent a lot of time focusing on our travel bucket list, and as we reflect on this past year, we have so much to be grateful for. 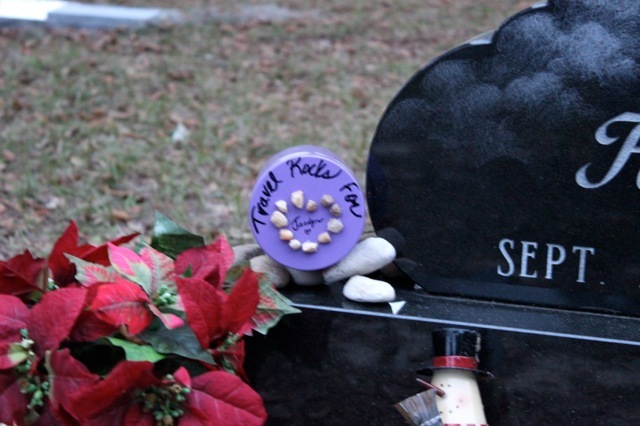 We put the rocks we collected for Jaedyn in little bags and wrote where they are each from and put them in this purple jar. 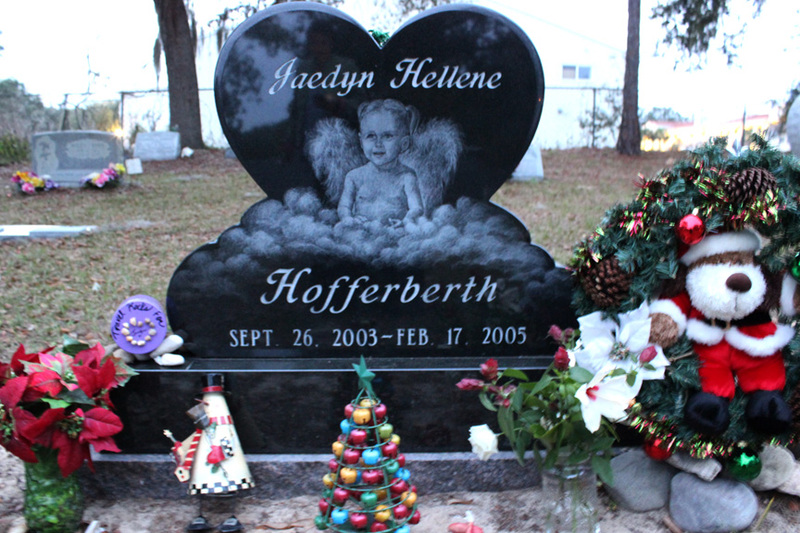 Jaedyn’s beautiful gravesite where we placed her jar of travel rocks a few days ago. 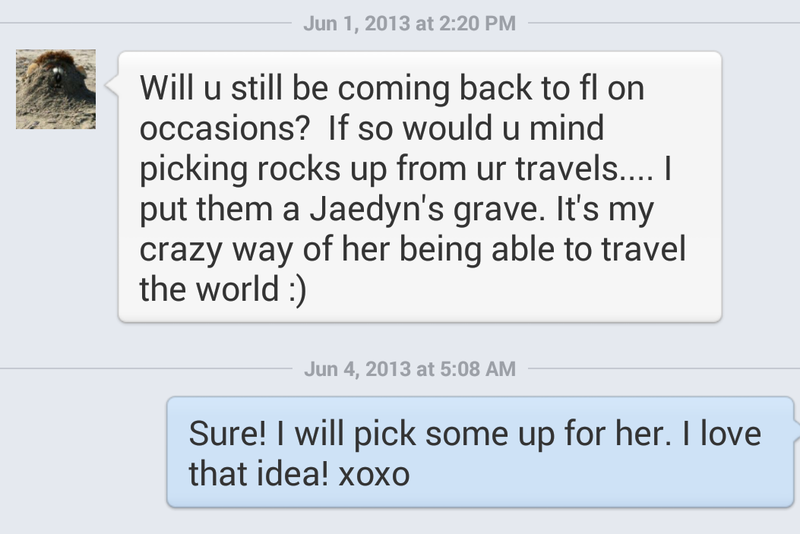 The jar of Travel Rocks for Jaedyn along with some other rocks that people have collected for her. 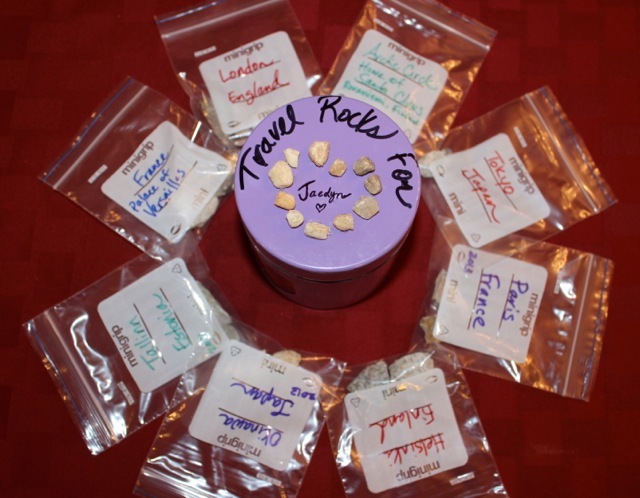 She’s traveling the world! 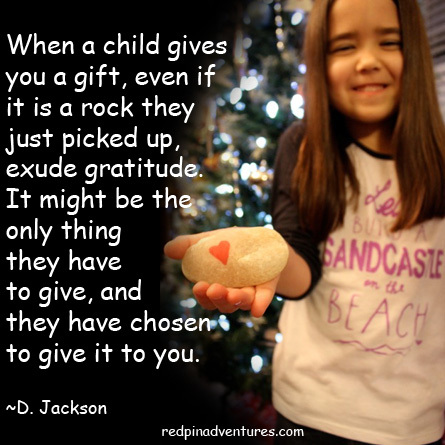 I will end 2013 with this photo of my daughter Mia with one of her rocks she has collected and a quote that I love about when a child gives you a rock. 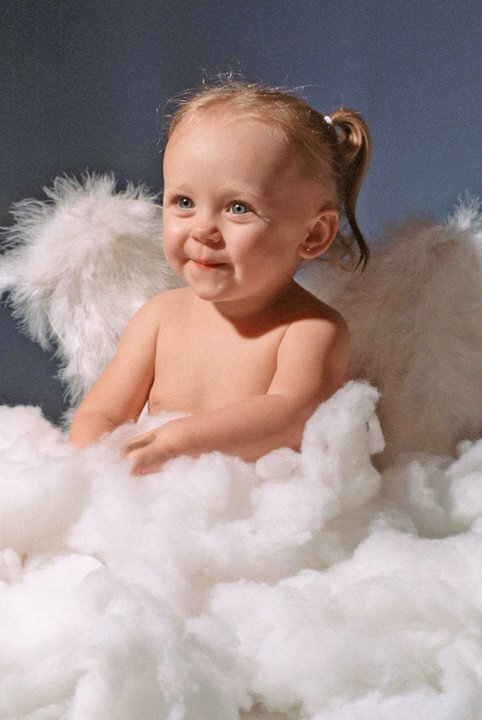 I would also love to hear any of my fellow bloggers’ stories about their children and rocks as well as any special things that you do for those who have passed. Thank you all for following along. I wish you a very Happy 2014 and a new year of peace and many exciting adventures!